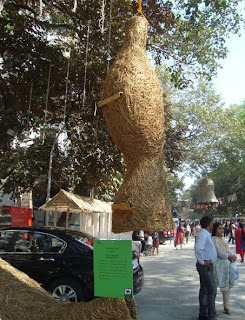 Kala Ghoda Arts Festival (KGAF); as people say; is an experience you cannot easily forget. It stays with you for a long time. Those who missed reading the first part, can click here. 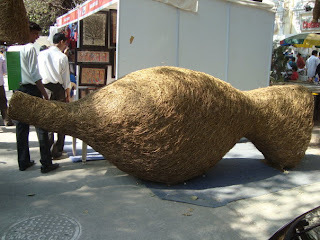 KGAF is all about Arts. Artist from various fields showcase their talent here. Various musical shows, plays, films etc. 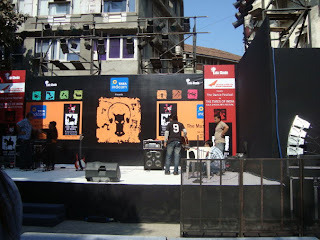 is performed on this stage. 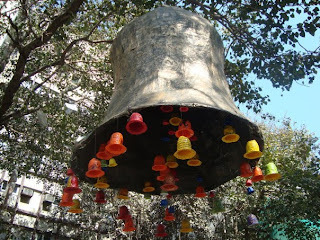 Apart from such artistic beauties, there was a dedication to our ancient beliefs about Mannat (wishes). A young couple is spotted there. The guy is tying the thread to the wish board while the girl is all smiles. In the Hinduism, it is believed that tying a thread to the tree leads to fulfillment of wishes. Since the trees are scarce now, people are satisfied with a wooden fence which is made of that auspicious tree. 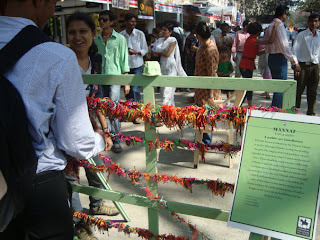 There was one stall that offered small children to showcase their talent too. They were given a brush, colours and plain white T-shirt. They drew mountains, birds, sun, flowers, rivers and such. Some simply stroked the brush randomly; while others copied them and trying to do better. The same stall offered hand made sketches too - the real one and not the computerized one that looks like a hand made sketch. I got mine made too. 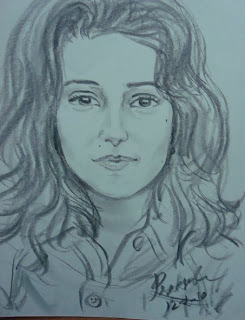 Though it does not resemble me much, but I still like it. There are many things to be shared; many photographs to be displayed; but I do not want to bore you people. 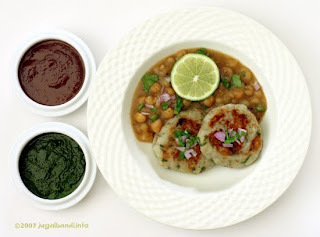 Hope you enjoyed this virtual journey as much as I enjoyed the real one that had ragda patties too with the Arts.